In recent years, I have become increasingly interested on the effects of stress on movement. Stress has a dramatic influence on the function of the human body, which consequently has an effect on movement of the human body. But other than “breathe deeply,” how often do you hear it addressed in terms of physical conditioning and movement training? I am the first on that breathe deep bandwagon, for sure. But affecting real change takes a a change in attention. And the stuff you’re not paying attention to could be creating challenges that you won’t feel for a while, but when you do, you’ll feel them BIG TIME. Because once stress affects change on your movement patterns, it also begins to change the very structure of the body – and probably not in a good way. So first, let’s talk about what stress actually is, and what it does to the body. Broken down to its simplest form, stress is basically just any force or tension exerted or applied to an object, in this case, the human body. In small doses, stress is actually good for the body. It takes you outside your comfort zone and it requires you to tax yourself in ways that make you stronger. The whole fitness industry is based on the idea of increasing stress on the body in measured increments to gradually increase strength and other physical capabilities. 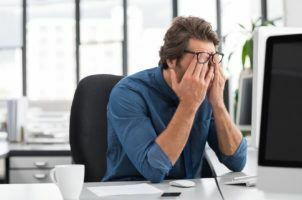 But in large doses, or in a long, un-interrupted run – stress can gradually but dramatically erode your health and well-being. What happens in your body when you’re stressed? When your body experiences what it perceives to be a threat, your autonomic nervous system (ANS: the part of your body that regulates involuntary actions like breathing, heart beat, circulation and digestion etc) responds by firing up the “fight, flight or freeze” response of the sympathetic nervous system, a branch of the ANS. The fight or flight response is a critical part of the body’s survival mechanism. When the brain detects a serious threat, it floods the body with adrenaline, a powerful hormone which accelerates your heart rate, increasing circulation to the muscles so you have the power to face the threat head on, or run away from it as fast as you can. Your respiration speeds up, making oxygen quickly available to the tissues that need it. The pupils in your eyes dilate and your focus narrows to see only the threat in front of you. Fats and sugars in the body are made quickly available to supply your muscles with the energy to do whatever you have to do to survive. The parasympathetic “rest and digest” branch of the ANS is inhibited, to the point where digestive function slows down or even stops. It’s pretty rare that an individual has to deal with a serious physical threat that demands intense physical action to survive. But surviving the relentless complexities of life in the modern world is a daily event. The problem is that the body doesn’t recognize the difference in the types of threat it responds to. It just responds. There is evidence to suggest that sympathetic activity may directly influence muscle function and motor control by modulating the local muscle blood flow, muscle contractility and proprioceptive activity. If you’re not actually dealing with a physical threat, your body may not appropriately manage the effects of this influence. From a physiological perspective, stress is creating an action-packed sympathetic environment in your body. It helps you focus and get lots done. And from experience, I can tell you, that feeling is addictive! But the long term physiological cost can be significant. Chronic stress, which many people experience as the status quo, can create unexpected challenges for the activation and integration of core musculature, for balance, for co-ordination and for the sustainability of efficient and effective motor control strategies. If you’re finding that your workout is more effortful than you think it should be, if you keep hitting a wall you can’t seem to get beyond, if your sleep patterns are continually interrupted, if you have trouble with balance, if your movement doesn’t feel fluid, if you have beautiful core muscles, but no stability… you may be someone who could use some strategies for calming the sympathetic nervous system. 1. Recognize that intensity is important, but not everything. 2. Stop bearing down to create power!Bearing down to find strength is inherently “fight or flight.” Look for length and ease in your skeleton as you push yourself for “more.” When you notice yourself bearing down, ask yourself whether there is a way to create more space, more length in your body. If you can’t find it, then you are at the edge of your body’s current ability to support whatever stress you are trying to manage. Recognize that. It may mean that it takes longer to progress to that next weight at the gym. But your strength will be hanging on a supportive structure, instead of bearing down on one with cracks in the foundation. Bearing down is part of the emergency mechanism – getting those last few ounces of energy out of your body to survive. Or win the race. You want to be comfortable and capable of going there, but you don’t want to live there all the time. 3. Include more restorative type movements in your workout repertoire.Try some yoga, pilates, walking etc.. 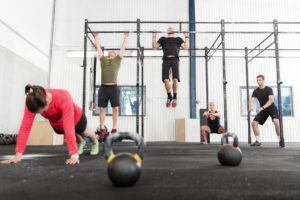 Understand that you cannot approach these activities with the same drive that you bring to your crossfit or kettlebell class! The body needs variety, not just in activities, but in the way you approach them. Breathe, find space, explore different ranges of motion than you might otherwise do. Make sure you are actually accessing and stabilizing core structures – and not just tightening& toning pretty muscles. Muscles can’t work in isolation. Don’t train them that way. 4. Find a way to let down.Flopping down in front of the TV just numbs you out. Instead, try walking in the woods, or going for a swim, or going for a bike ride with your kids! Meditate, have a bath, make love. These are all great ways to restore energy, connect with nature, and with others, and will help you feel better inside and out. Before bed, consciously relax your muscles and your bones. Breathe deeply and easily. Feel your body letting go of the stress of the day and inviting sleep. Create a ritual that helps you to change gears and relax. 5. Go Hard! FEEL your way. But remember you don’t want to tap into your emergency reserves too often. Learn to build strength that doesn’t always send you into sympathetic overdrive, or the fight or flight response. Feel your edges, learn where they are. Push those edges to gradually increase your ability to push limits without constantly overworking. When you reach what feels like a hard limit, choose whether you’re going to blow past it on sheer force of will, or find a way to soften the edge and support yourself through it in a different way. It may take a little longer, but it’s worth it. If you take the time to build up appropriately, you’re likely to gain a more sustainable kind of fitness. Exercise is a great way to help you manage stress. In fact, I think you’d be hard pressed to manage stress at all without some kind of physical activity. Get out and move – however you do it. But recognize that our world continues to make increasing demands on your body and mind. Create ways to balance those demands and their effects on your nervous system during intense exercise as well as during restorative activities. Let your workout help you truly manage stress, not add to the long list of complications that stress can create in the body. It may feel foreign to chill out, or to change your attention, or to moderate your intensity from time to time. But I guarantee you that when you do, you will find a new energy in your physicality that allows you to push limits like never before. But you’ll be doing in with a full tank… not an empty one.